This chapter applies to all one- and two-family dwellings covered by this code that use any amount of non-renewable energy for heat generation. Regulatory and Legislative: The code is adopted by the Department of Commerce after a code development and public hearing process. The state code provisions are first developed within the Department of Safety and Professional Services. Modifications to the code are developed in accordance with Chapter 227 of the Wisconsin Statutes. As of 2011, all UDC update proposals that add more than $1,000 in additional building costs must go through the full legislative process. Previously, all updates went through a regulatory process culminating in an administrative rule review conducted by a legislative committee. Codes are updated on an ongoing basis through various citizen advisory project committees and the Wisconsin Building Code Advisory Review Board. The Wisconsin Department of Safety and Professional Services is in the process of evaluating energy code updates for adoption. The Wisconsin Department of Safety and Professional Services issues a statement of scope with the primary objective of evaluating and updating the Wisconsin Commercial Building Code, including its energy conservation provisions. The department intends to review the 2015 IECC, ASHRAE 90.1-2013, and any state-specific amendments that are included in the current commercial code. Also in 2015, there is a legislative review of Wisconsin’s residential code. The Department of Safety and Professional Services publishes highlights of the Uniform Dwelling Code changes, which include requirements for basement insulation. The Wisconsin Dwelling Code Council publishes a report on the residential energy code, including a review and recommendations. The latest changes to the state’s commercial energy code become effective. Code change proposals from the Wisconsin Department of Commerce to update the Wisconsin Commercial Building Code (Comm 61-66) to reference several 2009 I-Codes are automatically adopted. These proposals include updating Comm 63 – Energy Conservation to incorporate the 2009 IECC with Wisconsin amendments (including an additional air barrier requirement similar to that of the 2012 IECC). The Safety and Buildings Division of the Department of Commerce will begin the process of moving to the newly created Department of Safety and Professional Services. Governor Scott Walker signs into law the state’s fiscal budget which includes an amendment revising the update process for the Wisconsin Uniform Dwelling Code (UDC), including the energy code. The amendment requires all UDC update proposals that add more than $1,000 in additional building costs to go through the full legislative process. Previously, all updates went through a regulatory process culminated by an administrative rule review conducted by a legislative committee. Wisconsin is awarded an energy efficiency contract, becoming one of 24 states to participate in a DOE energy code compliance pilot study. Between October 1, 2010 and June 30, 2011, the State of Wisconsin Safety and Buildings Division evaluates 44 commercial buildings through on-site inspections during construction. Read the final report from this project here. The Wisconsin Department of Commerce has proposed draft code language to update the Wisconsin Commercial Building Code (Comm 63 – Energy Conservation) to incorporate the 2009 IECC with Wisconsin amendments (including an additional air barrier requirement). Legislative approval will be required for final adoption. The process to update the residential requirements of the Wisconsin Uniform Dwelling Code (Comm 22 – Energy Conservation) will begin after the commercial process. The state Senate finishes its two-year session without voting on Assembly Bill 649 (the Clean Energy Jobs Act) after Democratic leaders balk at reports that the measure would drive up utility rates. Governor Jim Doyle states that he will not call a special legislative session to address the bill. This comprehensive energy legislation would have called for the Department of Commerce, Division of Safety and Buildings to review the state’s energy conservation codes for commercial and residential buildings and promulgate rules that conformed to the energy standards of a “generally accepted code” (i.e. the IECC or one that provides equivalent energy savings). The Department would have been required to publish these rules within 18 months of the publication of the generally accepted code. AB 649 also would have asserted the state’s goal of having all new commercial and residential buildings reach zero net energy by 2030. The latest changes to the state’s residential energy code, now based on the 2006 IECC with state amendments, become effective. Prior to this date, COMM 22 of the state-developed Uniform Dwelling Code (UDC) was applicable to one- and two-family dwellings, exceeding 1995 MEC requirements. (REScheck could be used when the code assignment is indicated to be “Wisconsin” in REScheck). Multi-family dwellings had to comply with the 2000 IECC (REScheck may be used when the 2000 IECC code assignment is indicated). The 2006 I-codes for commercial buildings with state amendments are adopted and implemented. 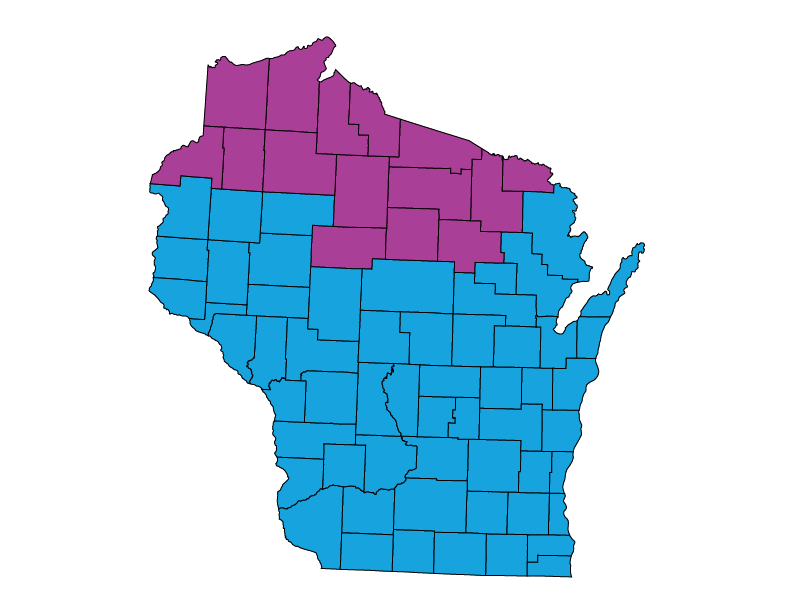 The 2000 IECC with Wisconsin amendments is implemented. Department of Commerce (COMM) Chapter 63, which regulates energy conservation in multi-family residential (other than one- and two-family dwellings) and other commercial buildings, is created in May 1978 and becomes effective July 1, 1978. COMM Chapter 22, which regulates energy conservation measures in one- and two-family dwellings, is created in May 1978 and becomes effective December 1, 1978.